While the content of this progressive vision may have seemed unclear a year ago, 2017 saw support for concrete proposals long favored by the left—from single-payer healthcare to a $15 minimum wage—soar in the midst of Republican efforts to strip healthcare from tens of millions of Americans and roll back the rights of workers nationwide. These right-wing efforts forced progressives to play defense—often successfully—for much of the year, but victories in 2018 will require a rallying cry more galvanizing than “resist” and more expansive than “not Trump,” advocacy groups and progressive lawmakers argued. 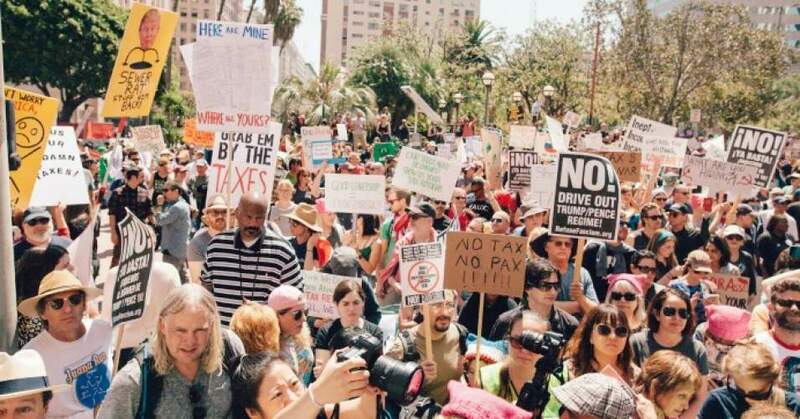 If surging membership experienced by grassroots organizations like Our Revolution, Indivisible, and the Democratic Socialists of America—as well as increased engagement in mass demonstrations across the country—is any evidence, the public is eager to hear such an ambitious message. As Common Dreams reported throughout 2017, millions of Americans mobilized from the day Trump took the Oath of Office to the day he signed the GOP’s $1.5 trillion tax cuts into law not just to denounce Trumpism, but also to call for something better. The untimely loss of @es_snipes reminds us how precious our time us. Learn from Erica: channel your energy into activism. An essential element of achieving this renewal will be both wresting control of Congress from Republicans and replacing them with progressives committed to sweeping changes to a status quo that has produced staggering inequality, persistent poverty, and a political system dominated by corporate cash. This won’t be an easy task: To win control of the House, Democrats need a net gain of 24 seats in 2018. In the Senate, they need a net gain of two. But with 2017 in the rear view, progressives expressed confidence that Trump’s deep unpopularity combined with a widespread desire for progressive, systemic change will be enough to achieve the kind of electoral “tsunami” previewed in Virginia and elsewhere just a few months ago. Wikler of MoveOn.org concluded that while “many of the worst” envisioned consequences of the Trump presidency could still come to pass, the growth of grassroots energy over the past year offers a glimpse of an alternative future that is within reach.